Check out the ultra-cool Zombillenium site. 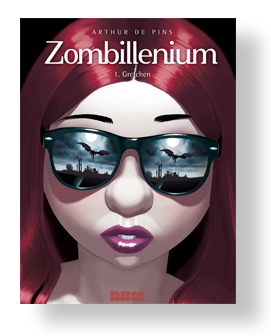 On the occasion of the launch of this new series, a wry parody with eye popping art, we’re launching the Zombillenium site, now in English. AND DON’T MISS THE BOOK AT YOUR COMICS BOOKSTORE THIS WEDNESDAY THE 10TH also on Comixology and soon everywhere else books and e-books are sold. Over in Europe, this series is already up to book 3. I hope they show up here very soon! Previous Previous post: It’s Only Science!